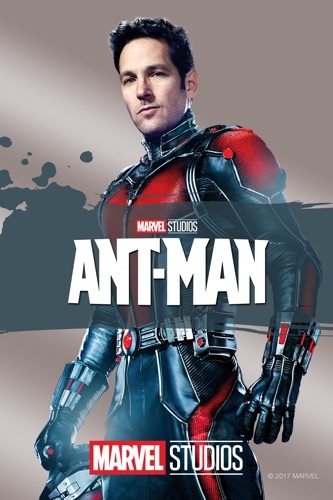 Ant-Man wiki, synopsis, reviews - Movies Rankings! Sure, it may not feel like a typical Marvel movie, but it is certainly enjoyable. ant man !! hes like an ant!! i think i need to be more open minded because initially i thought this movie was a dud and so i didn’t want to see it. after a year it however long it’s been out i discuses to watch it and it stands up to all the other marvel movies out there. give it a chance and you’ll definitely want to see the second one! This one is way better than the second. They should of thought the second one better. They try to make it comedic instead of an action movie. Just doesn’t fit. I wasted my money on the second for no reason. I should of rent it at redbox instead. I wish you can get your money back for crappy movies Hollywood puts out that become a waste of time. The second movie is 2 hours of my life I will never get back. OK From Face Value Ant-Man Was A Silly and Outlandish Hero Premis, But These People Were In No Way Making Gladiator or Goodfellas, These Are Movies About Comic Book Characters! Marvel Universe Does Another Solid, You Wouldn't Think Paul Rudd Would Be Hero Material! But Like Tobey Maguire In Spiderman It Was Suprisingly Great! Evangeline Lilly Gave An Endearing Performance, so did Michael Douglas Who You Wouldn't Think Would Be Part of Something Like This! It Was Visually Stunning To Get an Action Film From a Minature Point of View! Ant-Man Will Crawl Into Your Consious! I was hesatant to buy. Great writing, totaly entertaining, different in a great way. Bring on some more!!! This should be marked as a comedy movie instead of action. Best superhero movie yet, great job Marvel! OK…But too many Comic Book Movies and they have the same “Conclusion”, the only “Strength" is to write in as many, what can go wrong- does, but at the winning post, the “Saviour of the planet is Alive, bruised, sometimes near death." Good actors, somewhat funny and entertaining. This movie is amazing! Has and incredible storyline and funny characters. I put off watching this movie for a while because I didn’t think it would be good. But I finally watched it, and it was great! Wasn’t expecting to like it, but it was pretty solid, given all the superhero movies Marvel has been putting out lately.